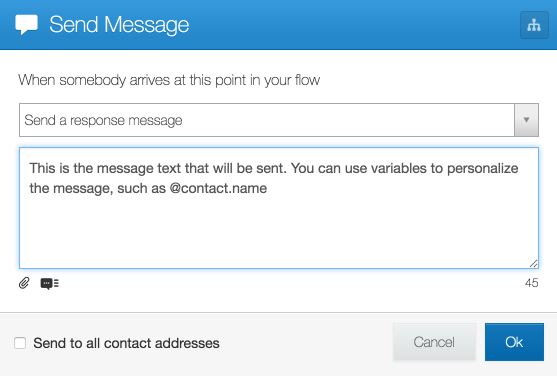 Sending a message to a group of contacts is as easy as creating a flow. 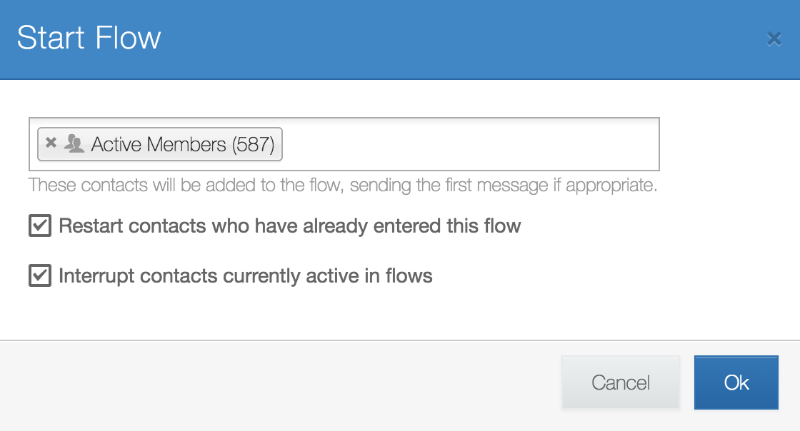 Once you've created your flow, add a Reply Action action containing the message you'd like to send and then select your target group from the contacts dropdown in the flow start modal. 1. First click on the Flows tab in the navigation bar. 2. From the Flows page, click on "Create Flow". Name your flow and leave the other settings as their defaults, clicking "Create" when done. 3. You will be taken to the flow editor for your new flow. Click on the "Create Message" button. 4. In the dialog that appears, enter the text of the message you want to send. Make sure to use the "Send a response message" action. Once complete click "Ok". 5. Now click on the "Start Flow" button. 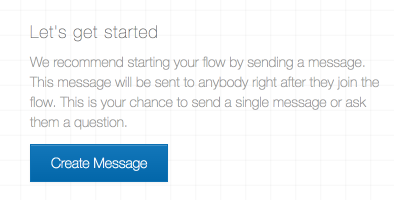 In the dialog that appears you can select the groups you want to receive your message. Once your group is selected, check the settings you'd like to apply and click 'Ok' to start the flow. Checking both settings will ensure your group's contacts receive the message regardless of their message history or activity in other flows. More on starting a flow here.